In an effort to get every Logbook Pro user outfitted with a binder solution we created the Sport series binder. The look and feel of leather without the cost of leather. The Sport series binder is perfect for our sport pilot and private pilot users with under 1500 flight hours without sacrificing quality or appearance. Our introductory model comes in a stylish black castillian vinyl with decorative silver corner savers and six heavy duty silver rings to prevent tearouts. Pockets on the inside cover are perfect for fuel receipts, aircraft keys, credit cards, etc. 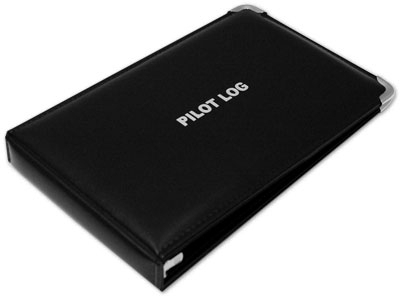 If you don't have a binder for your Logbook Pro printout, this is a perfect solution for all. This binder is not personalizable.